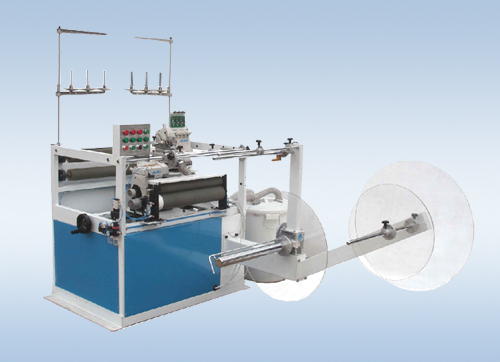 This machine is mainly used to double serge mattress side panel. It has two independent sergers, synchronization of them is controlled by two AC motors with frequency converter velocity modulation, the machine has two servo drive variable speed puller with long lasting urethane rollers, material tensioning device, and rewinder. Machine has excessive material auto-cutting device along with a vacuum scrap-collection device. Additionally, it is equipped with thread break detection device as well as material splice auto-stop device.